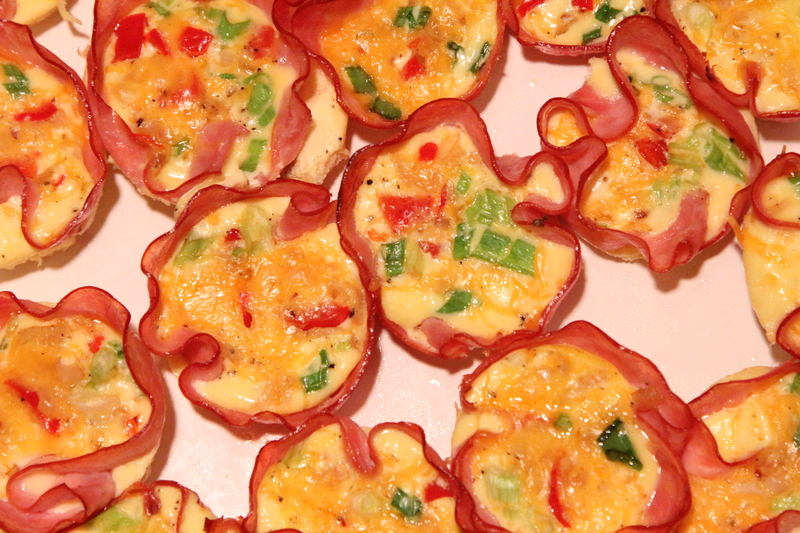 I thought I’d share an easy little breakfast recipe that could also work as an appetizer. I made these for my Bible study group at church and I think they all liked them. I went home with an empty platter so that’s always a good sign. 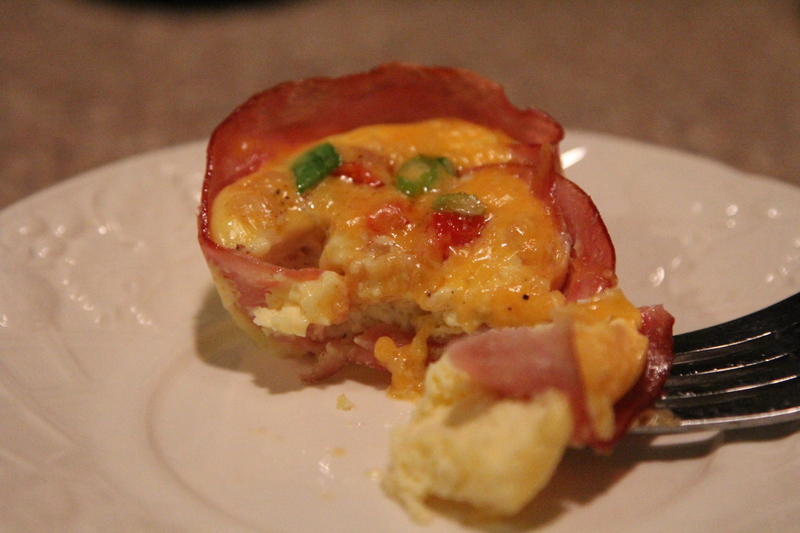 One thing I look for in a breakfast dish is can it be made in advance. This one passed the test. 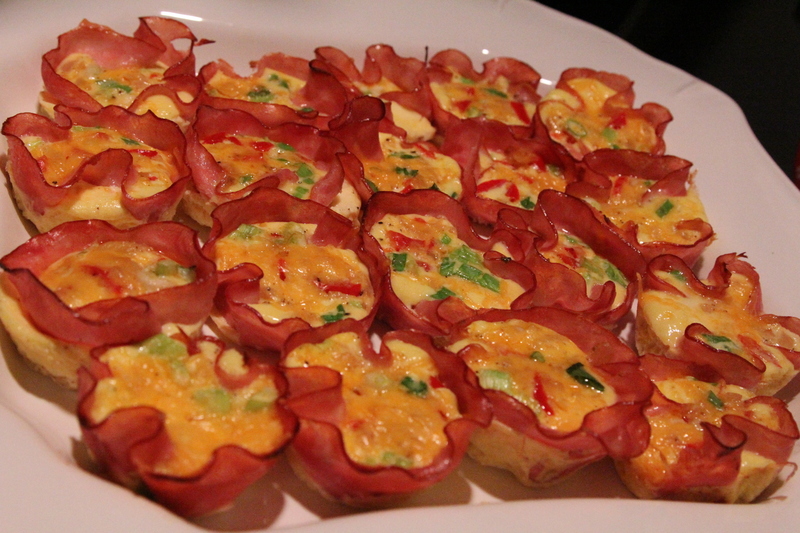 I made them the night before and kept them covered in the fridge. 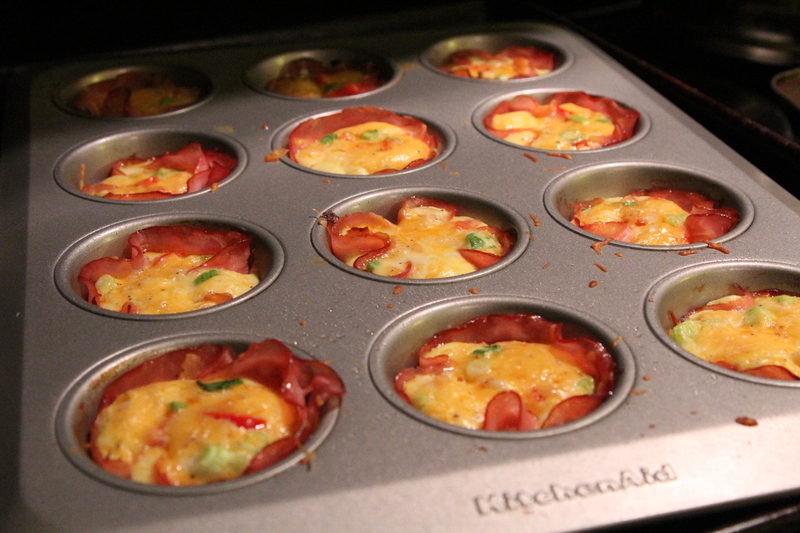 In the morning, I just put them in a warm oven for about 15 minutes and they were great. I’m not really a morning person so anything that can be done a little ahead of time helps me out a bunch. Especially since this was for Sunday morning. I don’t know about you, but our house is loud in the morning. We don’t always wake up all cheery and bright-eyed. Nope! Not here! Some days there are battles over what outfit to wear, drama over a certain shirt or something that is missing that is just essential and worth crying over. Some days, a certain little four year old, just wakes up grumpy and would rather lounge in her jammies all day instead of getting dressed and out the door. Oh man, Kindergarten five full days a week next year is going to be an adjustment! She loves the one day a week we have where I let her stay in her jammies a little while even after taking her sisters to school. On most nights and especially Saturday nights, I usually have the girls lay out their outfit they will wear the next day. I then can make my motherly suggestions and it makes the mornings go much smoother. But sometimes they wake up and do a complete 180 on me and all of a sudden refuse to wear that chosen and planned outfit. What? There was nothing wrong with it when we agreed on it 8 hours ago! So some days, even with some planning the night before, there are always moments of drama, sometimes a few tears, and sometimes some yelling. Ok – most of the time there’s yelling. Not like discipline yelling. More like I’m trying to brush my teeth, do a braid in my youngest daughter’s hair and find a pair of tights all at the same time so I yell to the girls to do things from upstairs to help out. My husband has compared me to a quarterback yelling out his plays to the team: “Let the dogs outside! Get your sister some cereal! Can you help her tie her shoes? Finish your cereal! What’s taking so long? Am I the only one that hears the dogs barking? Let them in! No we are not doing cartwheels in the living room!” I often yell out “Move it monkeys, move it!” as I try to get them out the door. Oh those Jack Butler, Mr. Mom quotes never get old. Sometimes I just have to laugh at our chaos! “Blue 52!” Ha! 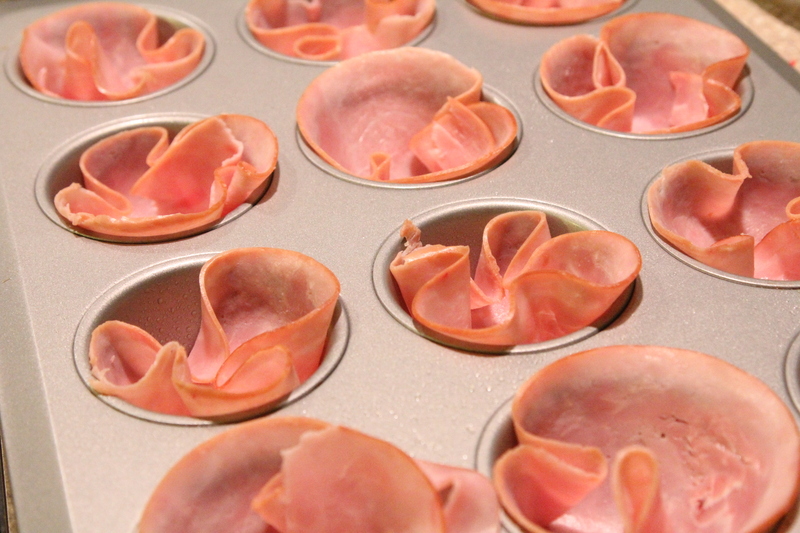 24 thin slices of ham (lunchmeat style that is circular is good). This was about 3/4 lbs of ham. 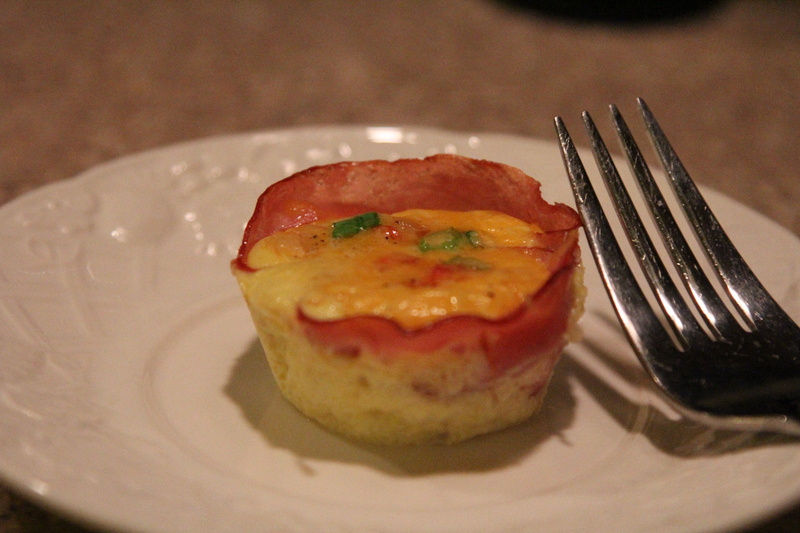 You could also double the ham and each ham cup would use two slices. 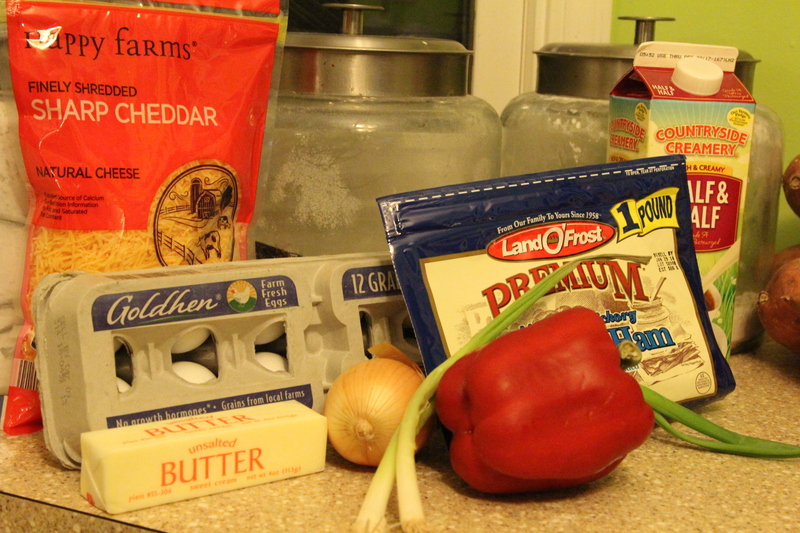 1/2 – 1 C diced red pepper or any color you like. 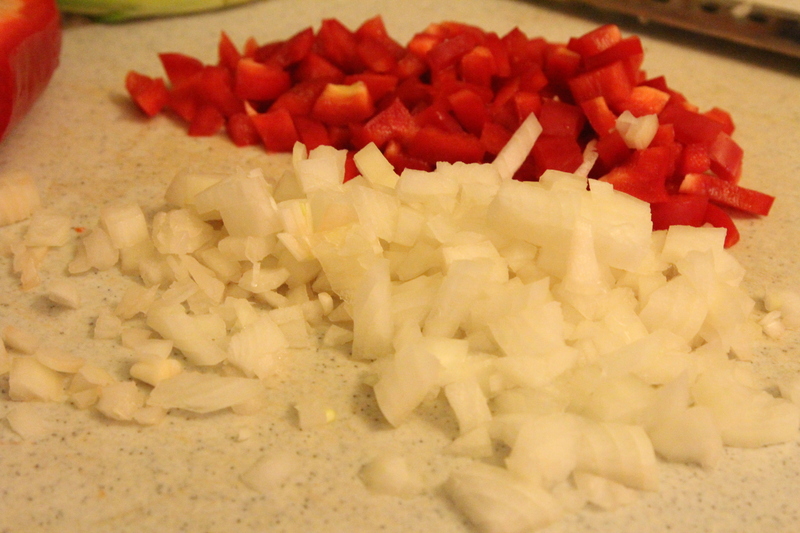 Chop up your onion and pepper. I used about 1/2 of a red pepper. Sauté onions and pepper in butter until cooked and onions are translucent. Season with salt and pepper and set aside. Chop up green onions and set aside. 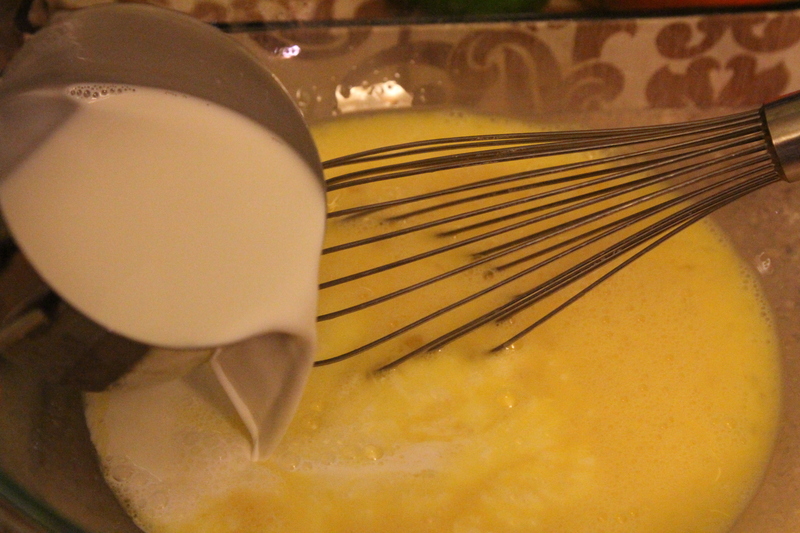 In a large bowl, whisk eggs and add in half and half. 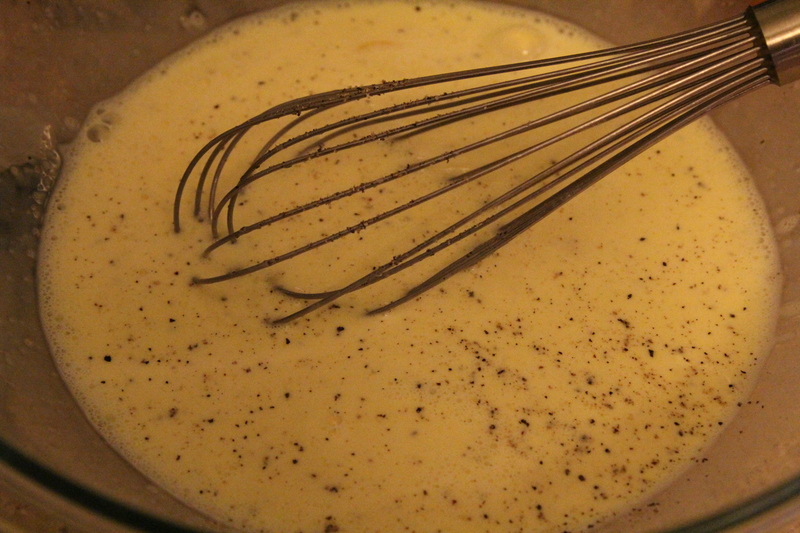 Season egg mixture with salt and pepper. 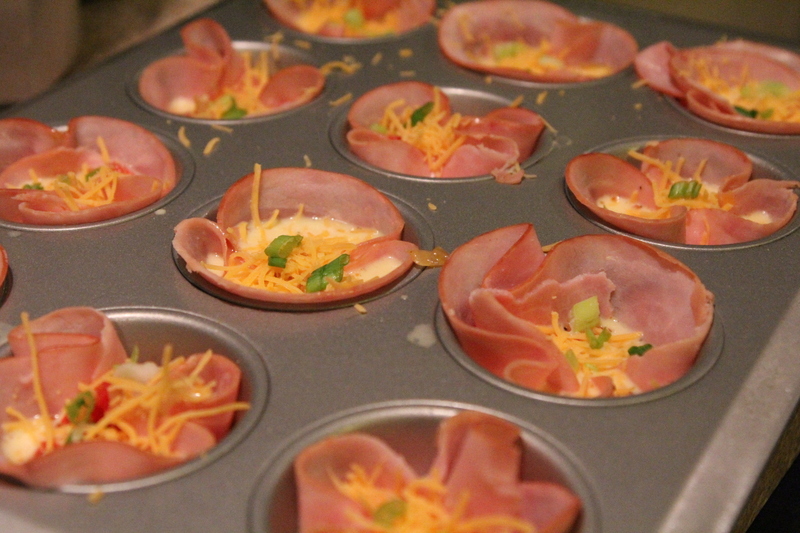 Spray muffin pans with non stick spray and lay one piece of ham (two if doubling the ham) into each muffin tin. 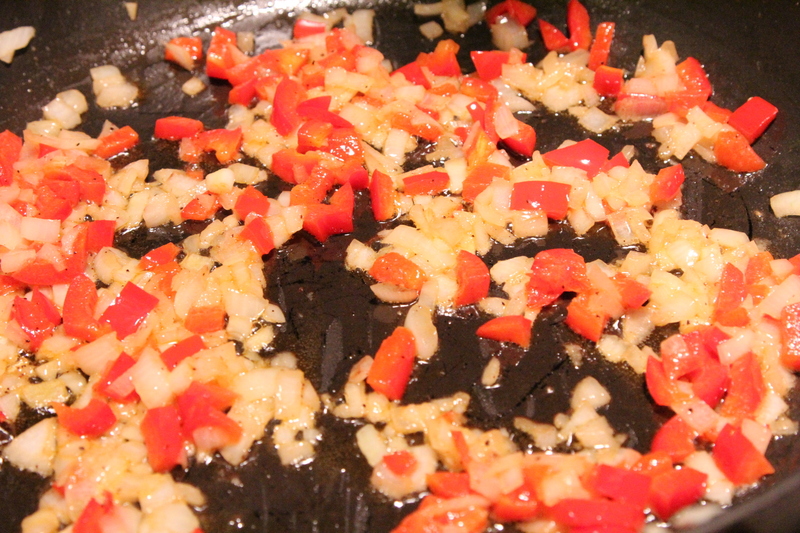 Spoon the sautéed onions and peppers into each cup. Top with shredded cheese and the chopped green onions. Bake uncovered at 350 degrees for 20-25 minutes until golden brown. I rotated my two muffin pans mid bake. 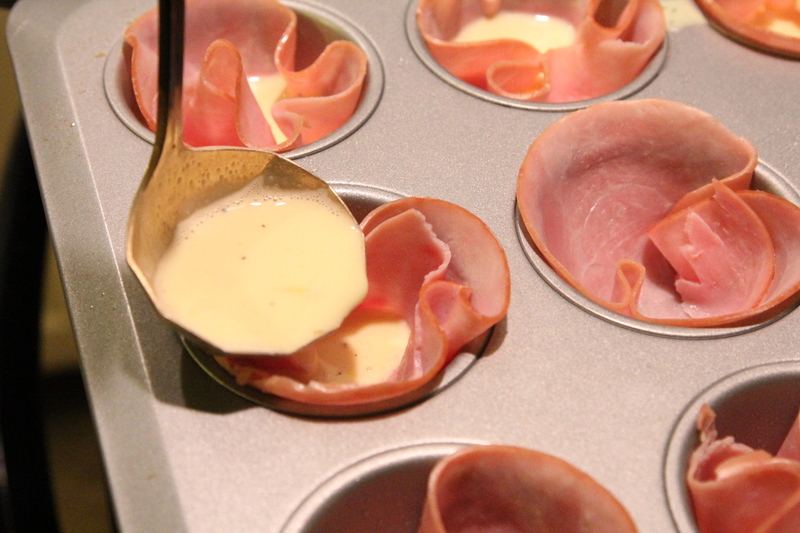 Once done, gently remove each ham cup from the muffin pan using a butter knife or a spoon. Serve immediately or refrigerate if making ahead. Reheat in warm oven for 10-15 minutes before serving. Chocolate Mousse Truffle Dessert and those darn Costco samples!